The Specialized Purist Insulated Watergate water bottle will provide you with the purist drinking water while on your ride. The purist infusion featuring amorphous silicon dioxide protects the bottle from stains, odors, and mold, leaving only the beautiful water from your Brita filter. Avoid the taste of plastic on hot days and never worry about stains or residue tainting your water. If you love the taste of clean water, the Purist bottle is for you. 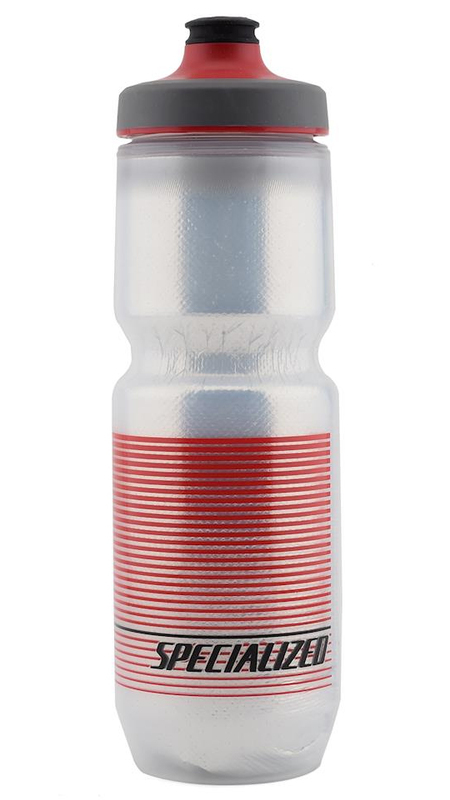 The bottle also consists of a 3-layer design featuring double wall construction and an insulating layer which keeps your water colder for longer. To top it off, the Purist bottle features the Watergate valve with an internal heart valve which delivers more water than a traditional water bottle and it’s 100% leak proof and easy to use, even when the valve is open.